Computer viruses are malicious software programs that are one type of malware infecting computers attached to the Internet. Other types of malware include: worms, ransomware, spyware, adware, trojan horses, etc. 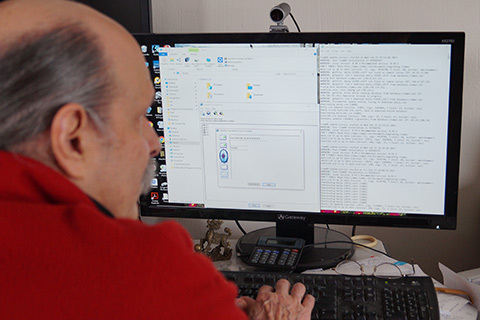 Whether it's running a simple scan and removal, to a complete extraction of all your data and files to a backup, wiping your hard disk clean and reinstalling the operating system, all of your programs and your data, Frank will return to you a clean machine! Often PC computer users are provided virus detection and removal software at no additional cost as part of their Internet provider service. Frank can also install virus detection software for you.